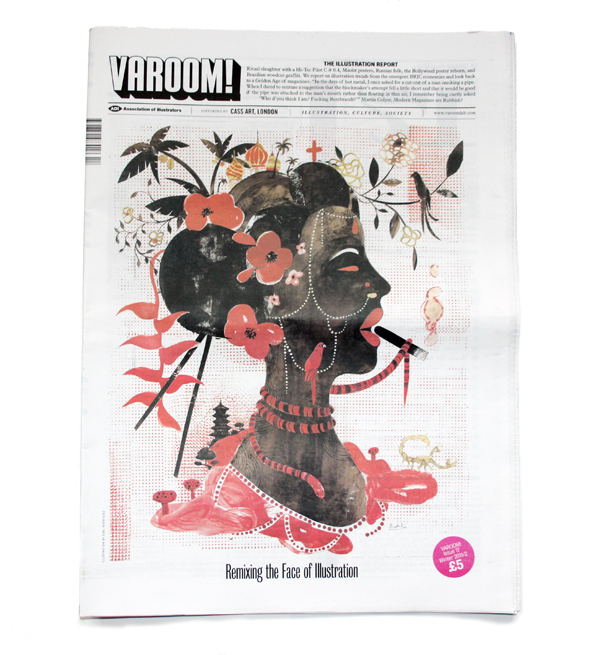 The latest issue of Varoom Magazine (17) features a six page article I was commissioned to write about the Brazilian illustration scene. 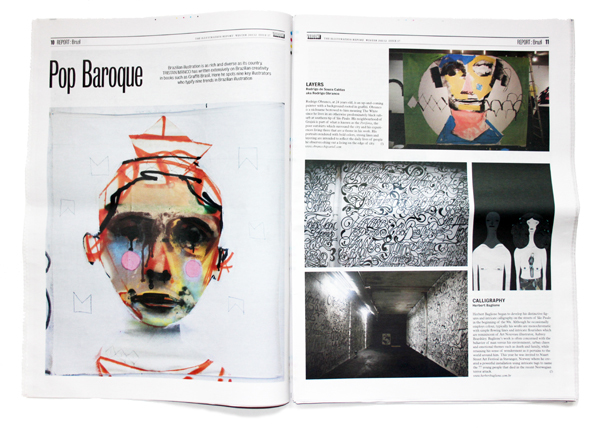 The idea was look at benchmark moments within Brazilian creativity by focusing on themes such as craft, typography, sacred art and the strong influence of street art. 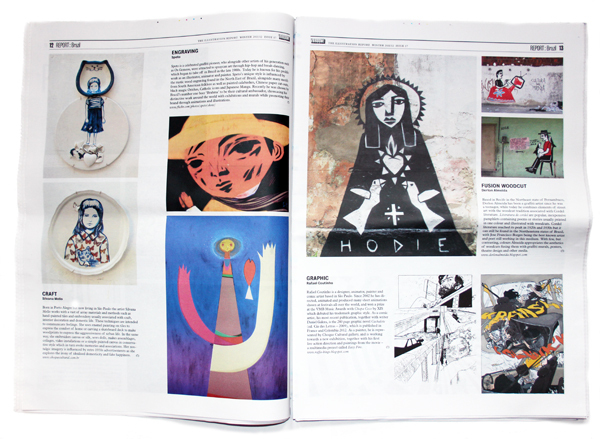 It was a pleasure to showcase many artists, illustrators and designers I have worked with in the past plus others I have admired for a long time. 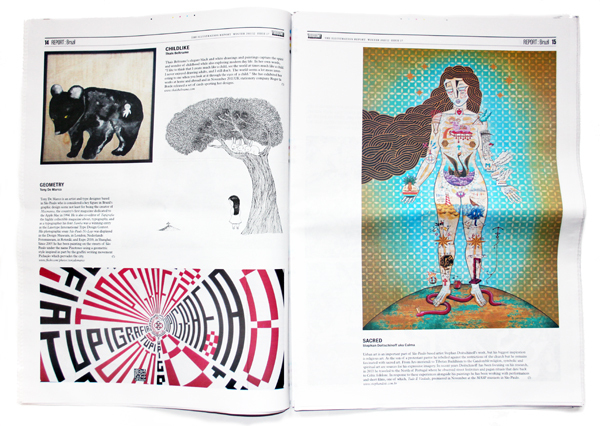 The printed magazine looks smashing with its new newspaper format and the article sits well in the theme of the issue which explores illustration from the BRIC’s – Brazil, Russia, India and China – the world’s emerging economies.